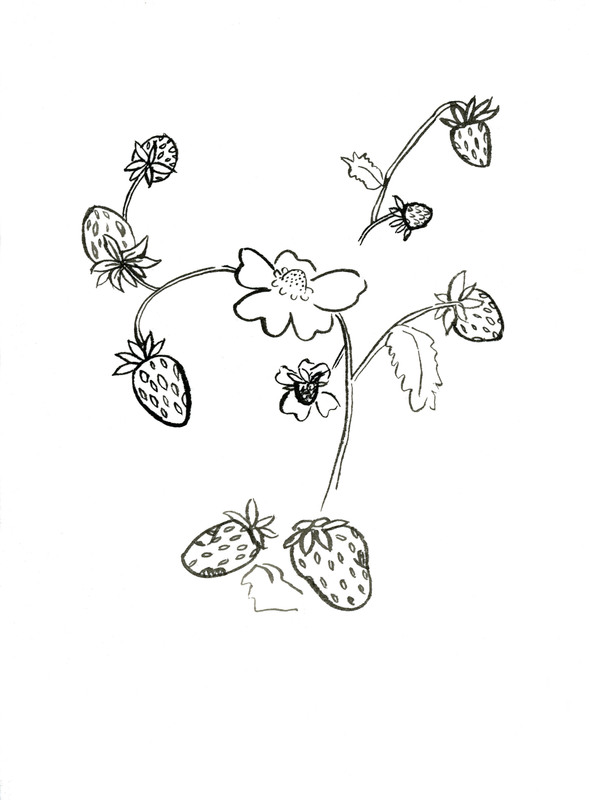 Strawberry Vine. Watercolor and Ink on paper. Hope your Sunday is a sweet one!